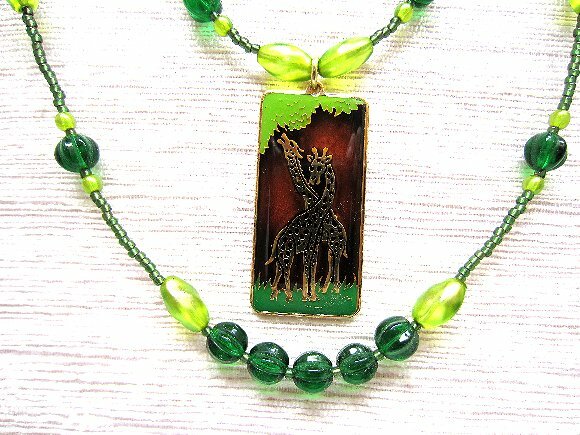 The enamel pendant depicts a pair of giraffes whose graceful necks seem on the point of twining into a hug: giraffe love. 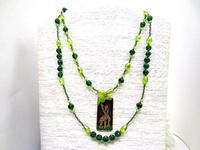 I like the pendant so much I put it on the shorter (18") strand, so that the longer strand would frame it. 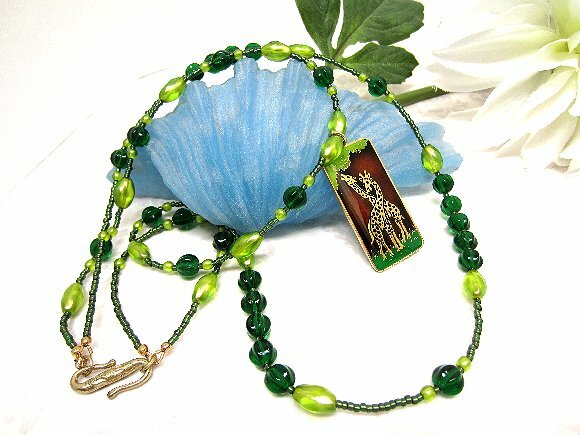 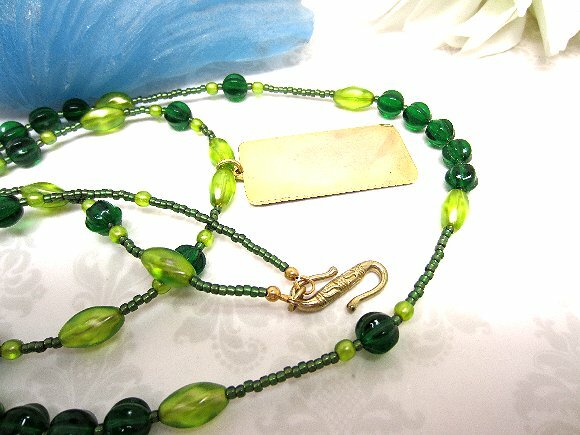 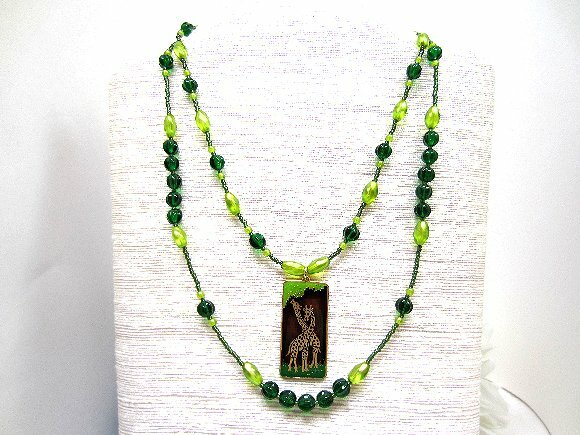 With colors of forest, olive and peridot greens, this lovely long necklace will be a staple of your jewelry wardrobe in every season. It's another wonderful necklace from SPARKLE PLENTY.